In this paper, the coupled cluster CCSD and other quantum chemistry methods are employed to study various kinds of representative hydrogen bond systems, as well as lithium bond, sodium bond and halogen bond systems; the MO and Δρ are observed before and after the formation of hydrogen bonds. We believe that these bonds have the common underlying mechanism, and a new concept about H-bond is needed to be established. The new concept of H-bond can be described as follows: When orbital symmetries are properly matched, the intramolecular or intermolecular electrons at high-energy level (HOMO) will partially transfer to lower energy regions (LUMO) and forms electron-shared, energy-reduced, relatively stable electrostatically interacting system. Quan- tum chemistry calculations faithfully described this phenomenon and fact. 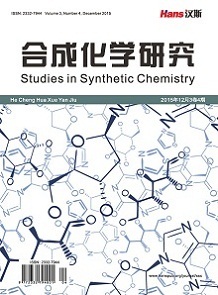 With practical calculation examples, the basic character of the electron transfer and the specific details of the new concept of H-bond are introduced. Parr, R.G., Donnelly, R.A., Levy, M. and Palke, W.E. (2007) Electrone-gativity equalization method: Parameterization and validation for large sets of organic, organohalogene and organometal molecule. International Journal of Molecular Sciences, 8, 572-582. Sanderson, R.T. (1951) An interpretation of bond lengths and a classification of bonds. Science, 114, 670-672. 周光耀 (1985) 关于电负性均衡原理. 化学学报, 43, 1-3. 周光耀 (2014) 范德华作用的量子化学研究(四). 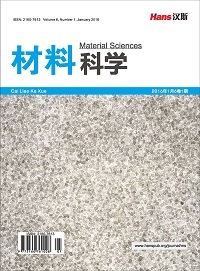 物理化学进展, 3, 1-10. Misochko, E.Y., Benderskii, V.A., Goldschleger, A.U., Akimov, A.V. and Shestakov, A.F. (1995) Formation of the CH3-HF complex in reaction of thermal F atoms with CH4 in solid Ar. Journal of the American Chemical Society, 117, 11997. 王海燕, 曾艳丽, 孟令鹏, 郑世钧 (2005) 有关氢键理论研究的现状及前景. 河北师范大学学报(自然科学版), 29, 177-181. 吴志坚, 吴季怀 (2006) 二氢键. 大学化学, 26, 33-37. Stefov, V., Pejov, L. and Loptrajanov, B. (2003) Experimental and quantum chemical study of pyrrole self-association through N—H ⋯π hydrogen bonding. Journal of Molecular Structure, 649, 231-243. 李志锋, 朱元成, 左国防, 唐慧安, 李红玉 (2010) 反常蓝移单电子锂键Y…Li—CH3[Y=CH3, CH2CH3, CH(CH3)2,C(CH3)3]体系的结构与性质. 物理化学学报, 26, 429-435. Legon, A.C. (1999) Prereactive Complexes of Dihalogens XY with Lewis Bases B in the Gas Phase: A Systematic Case for the Halogen Analogue B small middle dot small middle dot small middle dotXY of the Hydrogen Bond B small middle dot small middle dot small middle dotHX. Angewandte Chemie International Edition (Engl. ), 38, 2686- 2714.